As a member of various industry initiatives, TecAlliance works with other important companies in the industry to draw attention to economic and environmental topics that are thematically related to the automotive aftermarket and to the relevant associated developments. The large information platform for interested motorists with information on every aspect of the parts of a modern vehicle. The environmental management system of the independent motor vehicle parts industry. PARTSLIFE assumes responsibility for the proper recycling and environmentally friendly disposal of products and fulfils all legal requirements and conditions. In addition, PARTSLIFE advises the industry, trade and workshops on the topic of waste prevention, in industry-specific disposal and environmental issues and in the implementation of individual disposal solutions. An initiative of well-known manufacturers of automobile parts. Together we are committed to enhancing quality awareness. After all, only if parts dealers sell high-quality products and car workshops install them will their customers be safe on the road. Leading automotive parts manufacturers, trading companies and independent workshops are working together to help children in need. An entire industry has, with the support of the German singer Peter Maffay, set out to campaign on behalf of the weakest members of our society – our children. 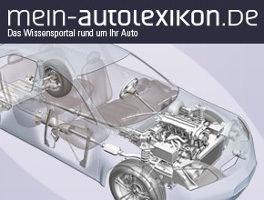 The “Verein Freier Ersatzteilemarkt e.V.” (Association of the Independent Aftermarket) (VREI) is an interest group of 54 major and leading manufacturers of car parts. The VREI and its members aim, in close cooperation with neighbouring associations, to actively and effectively represent the interests of all participants in the service market.